Squad selection screen ripped off. There’s very little doubt that people are quite excited about the impending release of Battlefield 1. 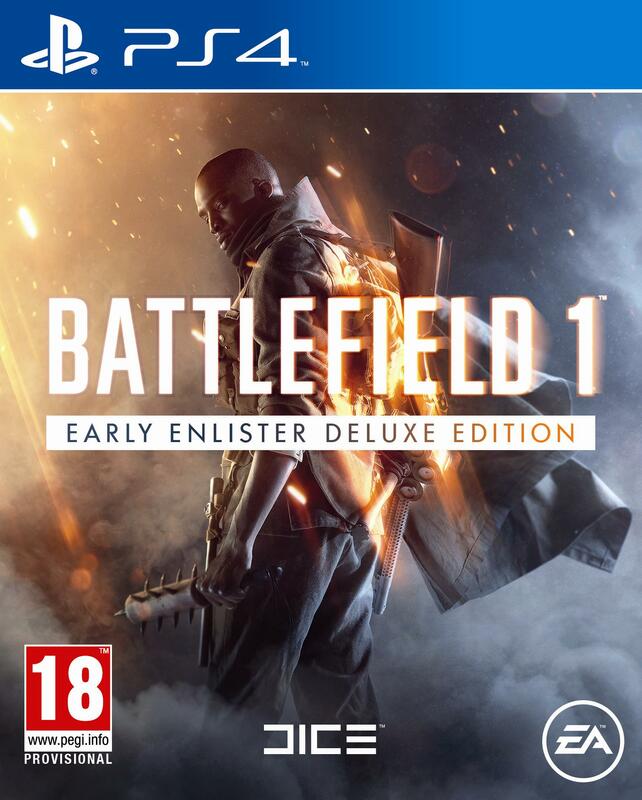 The game has actually launched for those who purchased the Early Enlister version. WCCFTech is reporting that one game company is attempting to take advantage of the hype surrounding Battlefield 1 by using images from the title to promote it’s own F2P browser game, The Liberators. The company behind this little bit of false advertising is known as Mutant Box. 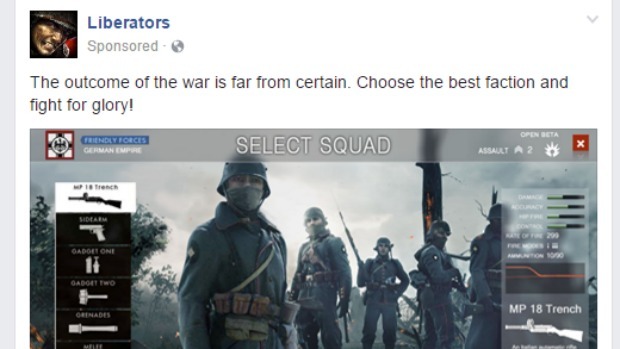 An advertisement surfaced on Facebook that showed what is sure to be an iconic squad selection screen image from Battlefield 1. Previously, the company had used War Thunder art to promote another one of its games. The question, now that this little trick has been exposed, is just what is going to happen to the company running the false advertising campaign. Will DICE take action? We will keep you updated as this builds.